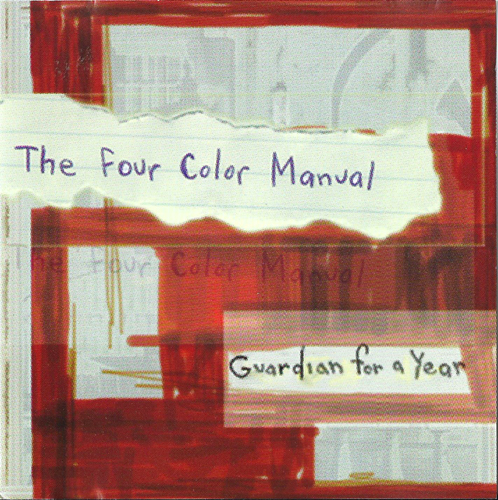 Presumably from the environs of the New England area (based on the Vermont locale of Sudden Shame Records), Four Color Manual's mildy dissonant and dynamic aptitude would probably be deemed as emo by today's standards, but their overarching shtick was through-and-through indie rock. Much like an onion, this trio was a layered proposition, revealing a noisome cross section depicting the likes of Unwound, the Promise Ring and Seam. Glints of melody eke out of slight cracks ensconced between the rough-hewn slices of "Chambers," "She Fought the Devil," not to mention others. 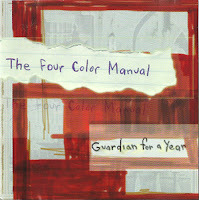 Guardian of the Year sounds unmistakably like a debut, but FCP's latent potential wasn't realized on subsequent records, because evidently there weren't any. The link is sadly dead. Any chance of a repost? Been looking for this everywhere! Welcome to fray and feast. I sure miss the world before it changed.